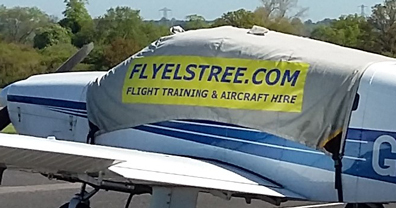 Our service includes a visit to your location, to take measurements to produce a bespoke cover template for your aircraft. 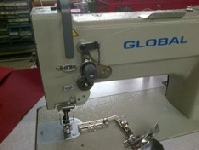 This ensures a perfect ‘glove like’ fit and accurate positioning of any surface protrusion pockets. 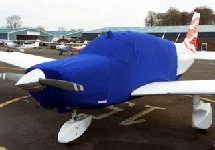 We take pride in producing the highest quality all weather covers, that fit perfectly to the shape of your aircraft ,so they look great as well as protecting it from the elements. With Dave’s Custom Covers, you get the ‘best of the best’ in aircraft covers. Our designs outperform all others. We can repair damage to old covers caused by wear and tear or accidental damage providing the fabric still retains its overall integrity. We can also modify old covers to improve their weather proofing and fix some areas of poor design. The fabric used will match the colour of the original wherever possible. Weather re-proofing of canvas fabric is recommended every 5 years or so, to ensure best water resistant operation. Our re-proofing service can save you the hassle and mess of DIY. Advertise your business, aircraft services or shares for sale with custom printed PVC Banners.